French energy giant Total confirmed it is withdrawing from a multibillion-dollar gas project in Iran after it failed to obtain a waiver from US sanctions. Total signed a deal worth $4.8bn in July 2017 to develop a field off Iran’s southern coast as the lead partner alongside the China National Petroleum Corporation (CNPC) and Iran’s Petropars. “Total has notified the Iranian authorities of its withdrawal from the contract following the 60-day deadline for obtaining a potential waiver from the US authorities,” the company told AFP news agency on Monday. Iranian Oil Minister Bijan Namdar Zanganeh said the company had notified authorities of its decision to exit the deal. 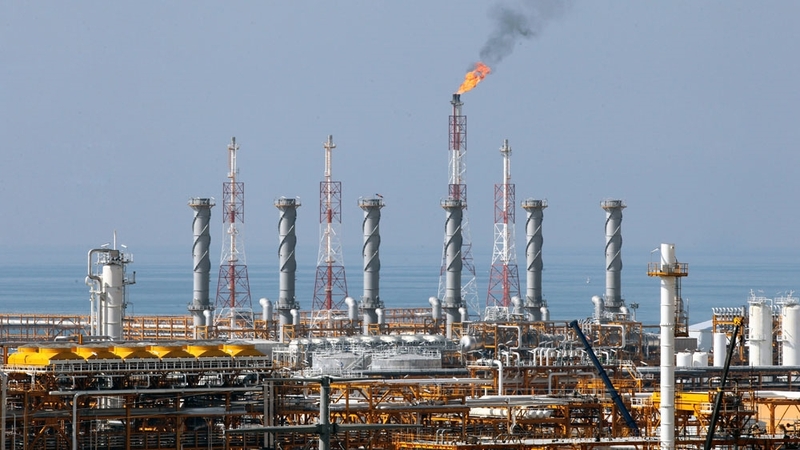 “Total has officially left the agreement for the development of phase 11 of South Pars,” Zanganeh said, emphasising the dire state of Iran’s oil-and-gas facilities, which he said were “worn out” and in need of renovation that Iran could not afford. The deal was meant to bring in state-of-the-art technology to tap the gas field, which Iran could then replicate on surrounding ones. The United States said in May it was abandoning the 2015 nuclear deal with Iran and other nations, and reimposing sanctions on Tehran in two phases in August and November, with the second targeting the country’s vital oil-and-gas sector. Total has $10bn of capital in US assets, and US banks are involved in 90 percent of its financing operations, meaning it would have been highly vulnerable to US penalties for remaining in Iran. Zanganeh said the process to find a replacement for Total was under way. But it is unlikely that CNPC or Iran’s own firms can take over the project, said Homayoun Falakshahi, an energy analyst for Wood Mackenzie in London. “The technology Total was hoping to implement would have been world-first, using electricity to compress the gas,” he said. The urgent need for investment to upgrade Iran’s dilapidated energy infrastructure was a key motivator behind its decision to join the 2015 nuclear deal. Some conservatives in Iran oppose foreign involvement in the strategic energy sector and have frustrated plans to develop attractive investment contracts. As a result, the Total deal was the only major investment project finalised after the nuclear deal came into force.